The Hanoverian music producer Mr. 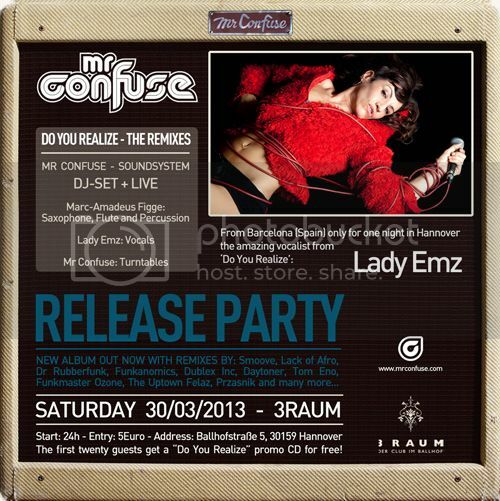 Confuse celebrates the release of his fifth studio album, “Do You Realize – The Remixes” on 30.03.2013 at the 3raum Hannover with a proper release party. This evening Mr. Confuse has invited live company to join his DJ set from driving funk, soul, boogie and electronic beats.